I’m always on the lookout for movies that my husband calls “Sarah-friendly”. These movies contain little to no violence and have a good message. 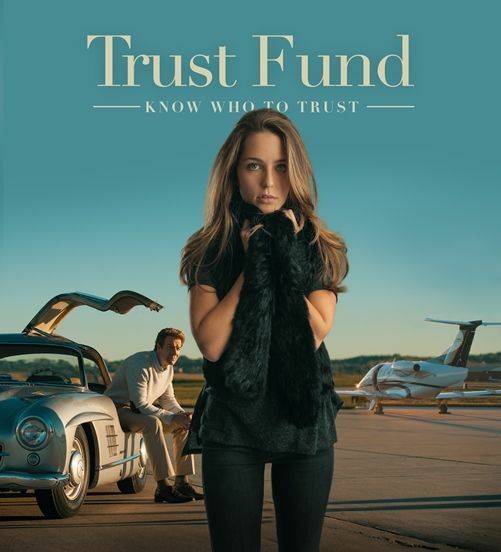 Trust Fund, a new movie by Mapelle Films, fits that bill! We were sent a DVD copy to review. My first impression from this movie was that I really like the cinematography! The creators of this film have an artistic eye and I feel that it’s very well done! The cinematographer is an early homeschooler who began producing films in his backyard at the age of 11. You can read his story here –> Isacc Alongi. I love hearing stories of now grown homeschoolers and how they are flourishing. The extra time and space that he had to devote to his filmmaking as a child is producing great fruit as an adult! Reese is a somewhat spoiled teenage girl who is coming-of-age. The early moments of the film portray her as both self-focused and immature, yet with a kind heart that seeks to love others. She has been working hard on a book and has been blessed to receive both a book contract and an advance. She’s living in denial though, believing that writing a first book is enough income to pay the rent on a high-rise apartment and support herself in the lifestyle to which she is accustomed. I really like her father and can empathize with him in his parenting struggles. He offers her a job in his company, and she begins to try to find her way through work life. She discovers something her father has been (wisely) withholding from her, and as a result, quickly makes some very poor decisions that spiral into all kinds of trouble! The redemption and grace she receives is a powerful message of forgiveness and hope. The movie is a bit far-fetched and not a realistic storyline, in my opinion. It is creative and imaginative though, and would be a fun movie to watch with a teenaged daughter. My Super D, Sweetheart, and Little Man aren’t old enough yet to follow along. If you have a teenage daughter, Mapelle Films has released an book called Love Was Near to accompany the movie. It’s recommended for girls aged 12 and above so we didn’t review the book. 🙂 This coming of age Prodigal Daughter story is well told and will prompt great discussions! You can check out the trailer! « It’s THSC Convention Time!